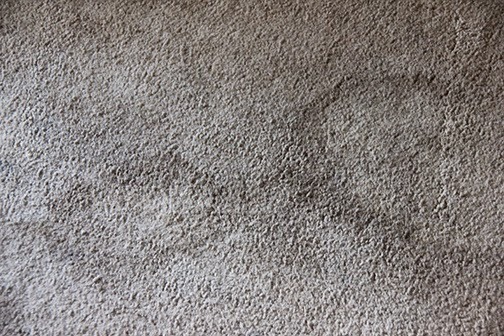 The before patch on our rug. 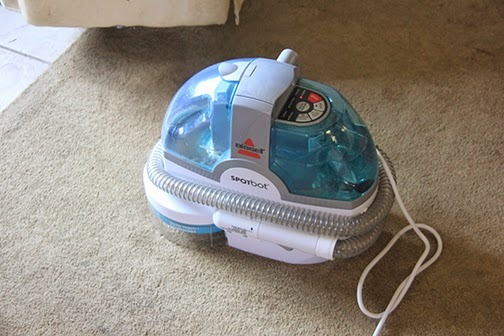 Spotbot ready to go to work! When I started rolling laughing!! Roger said it was like a crop circle. If I had thought a bit I could have done a bunch of circles over the whole rug. A pattern. Supposedly RV makers put in light colored carpet to lighten the inside area. What were they thinking? They must have camped on cement pads 24/7, had no dogs and always put on surgical slippers upon entering their rigs. I have read where some Rv-ers leave their shoes outside and put on slippers when they come in. We do leave ours up front on the tile area in the cockpit. Hmm, maybe we should have a bucket of water for the dogs to step in before they enter? Sigh, no, we now have a Spotbot! Tonight we are going on an RV Park event. We are all going to the local Moose Hall to have wings! I'm getting 6 bland wings and Roger is getting 10 hot ones. Hopefully we all take our own car to get to and fro as I get squirmy after and want to leave. haha. ADHD in action. It will be fun. So that's my day. So far! Be sure and check out my new book/comic of Lola and The Boys. (top right corner of the blog). yes. I'm excited!! 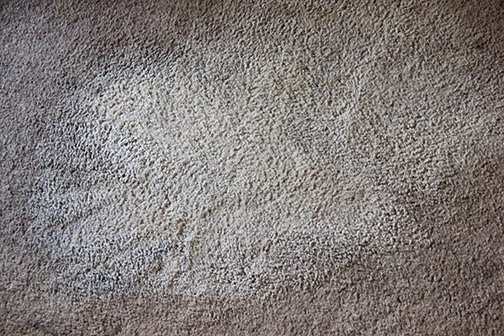 Our beige carpet is a very dirty brown after a month long trip with the dogs. After 3 months it is terrible. 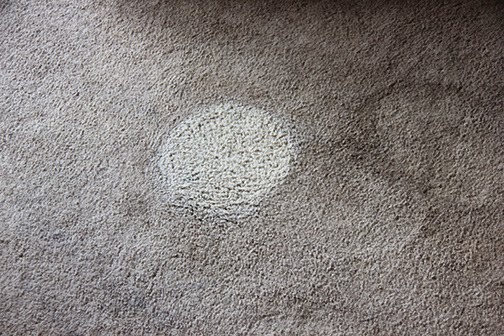 I do have a can of carpet cleaner I use on spots, but mostly I try to ignore it til we get home to the big carpet cleaner. Really would like to put down vinyl all over. I know it can be done, but kind of tired of having projects on the RV for my husband. Think I am going to try to find some long runners to cover a lot of it. As far as dirty paws, we have had a bucket by the door to dip the paws in before entering on rainy, muddy days. I will have to Ray. I have also read we can dye the carpet. It's not the greatest but, hmmm, black?? No, it would have to be that combo of hurl, dirt and other special droppings!! !